Birdsong at sunrise. Walking through the garden, the grass still moist with dew. Coffee and freshly-baked croissants in the breakfast room. Sundowners at the poolside after another lovely day. 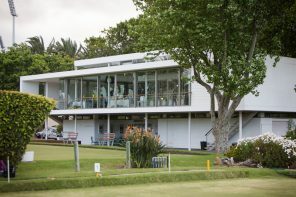 These are the things you will experience at Riverside Estates, a uniquely beautiful holiday, conference and function venue in Hout Bay, Cape Town. 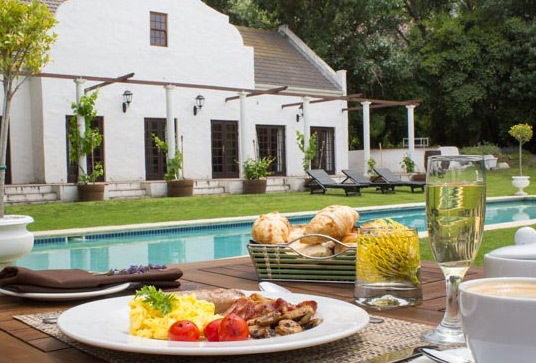 An upmarket guest house venue, with sixteen stylishly decorated rooms, three swimming pools, a Cape Dutch Manor house, an elegant function venue. A tranquil, family-friendly holiday venue on a spreading, 5-acre garden. Time is always precious, and the traveller – whether a businessman or holidaymaker – needs an accommodation venue which is comfortable and customer orientated. That’s exactly what we offer – business and child-friendly holiday accommodation in Hout Bay, Cape Town, uniquely geared to the needs of our guests. Guests start the day in the breakfast room, which overlooks the main garden area, and end it with a nightcap in the pub, built around a fireplace for the winter nights. Facilities include a sunlit garden gazebo, three swimming pools and sixteen en-suite double rooms, each one individually decorated and furnished, and comfortably equipped. Each room has DSTV, wireless internet access and a coffee station. Various accommodation options include The Manor House, Paddock Lodge, the three Studio apartments. 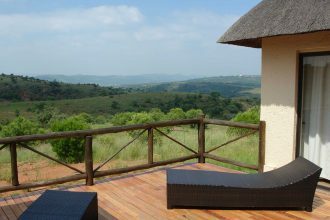 There is also Tree House, a two-bedroomed chalet overlooking the mountain stream, with open plan lounge and fully-equipped, self-catering kitchen, with its own private swimming pool. Conferences should justify the time, money and energy spent on them. Conferences should result in participation, action, motivation – they must offer more than endless PowerPoint presentations, and monologues. We are Hout Bay’s foremost business conference venue, offering specialist conference facilities to ensure fruitful, dynamic and participative conferencing. The opportunity to use visual mapping tools and techniques (and if needed skilled specialist facilitators) to help you attain your conference goals creatively and efficiently. • Access to a range of dynamic visual mapping and solution finding techniques (including the acclaimed Participlan conferencing model) and the use if required of skilled think-tank facilitators. • Uniquely special “think spaces” spread through our beautiful gardens and conference rooms, allowing groups and individuals to think creatively. 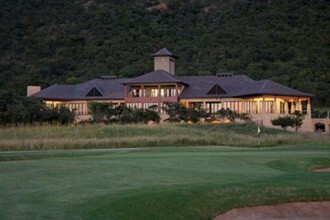 • A range of fun breakaway activities, to ensure that delegates remain on their toes. • User-friendly meeting and conference templates, to assist in conference planning. • Flexible half and quarter day conference specials and packages, which give you greater value for money than any rival conference facilities. We have Hout Bay’s finest teambuilding venue, flexible programmes and menus, standard conference equipment and a spacious hall which seats 120 delegates schoolroom style or can be subdivided into three separate rooms, for smaller groups and breakaway sessions. 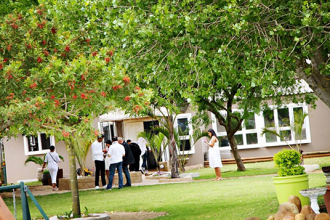 Lovely outdoor areas and the addition of unique ‘think spaces’ make this venue fantastic for groups looking for a different team building venue. Beach and Bush Adventures, one of South Africa’s top corporate teambuilding and event organising operators, offers a variety of teambuilding and activity options which can take place onsite at Riverside Estates.